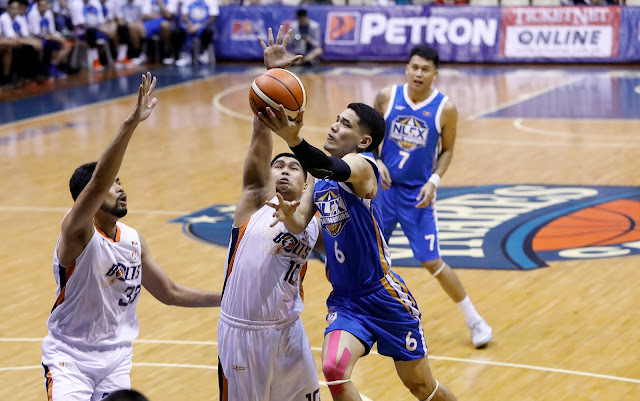 PASIG—NLEX suffered a huge blow early into its Philippine Basketball Association season as Kevin Alas once again suffered an anterior cruciate ligament injury. The team confirmed on Monday that the explosive guard hurt his ACL again while going for a rebound in its Saturday night clash against Meralco at the Ynares Center in Antipolo. “Our medical team is set to confirm the extent of the injury through MRI results on Tuesday,” the Road Warriors said in a statement via their Twitter account. As further confirmed, Alas injured the same right knee ACL that he hurt during Game 5 of their PBA Philippine Cup semifinal series against the Magnolia Hotshots. Interestingly enough, the said match also took place at the Ynares Center. “According to our medical team, Kevin will be out of action for several months as he goes through another round of surgery and therapy,” the statement added, implying that his season is over. Alas was just five games into his comeback season from his previous ACL injury prior to re-injuring it. He was having decent numbers for NLEX, averaging 8.4 points, 3.4 rebounds, 4.6 assists, and 1.0 steal a night.